It's not everyday we get to read a romance told from the male's perspective but our guest author today has a real cherry of a book written that way! Welcome Emma Chase! Lexi: We have lots of wine and plenty of time to see how much about Jake we can pry out of you. So let's get down to it...red, white, or bubbly? These days…white. Used to be red, but red puts me to sleep, and I’ve been too busy lately for sleep. Lexi: I like to think the type of wine you are feeling goes along with your mood and any type of wine goes well with books. Another thing that goes well with books is finding someone to book-gush with. And do I ever want to book-gush over Jake. This hard defense attorney has a soft spot for kids, he want's to help them and be a role model/guide for them, and he is protective over those he loves. Honestly, did you drool over your keyboard every night? YES!! Seriously, I love Jake. Luuuuuv him! Everything about him. I love that he doesn’t realize how good he is. I love that he wants to be selfish and walk away – but just can’t. I love how he notices every little thing about Chelsea and the kids and tries so hard to give and be everything they need – but in a tough, hot-guy kind of way. Lexi: I really like that you told Sustained, book two in The Legal Briefs series, from the male character's POV. It really is rare to find a romance from the guy's side and Jake is such an amazing character it really couldn't have happened any other way. How did you get into his head, write with the thinking of a guy? Did you ever get tripped up and have to ask for advice on what a guy would think? Even in Overruled, I had such a clear picture of who Jake was. The strong, tough, silent type, with a sarcastic sense of humor who would do anything for his friends. For me – and this happened with Drew in the Tangled Series too – I heard his voice so clear in my head, and it’s so different from my own voice, that is was pretty easy to slip into that character. The only time I tripped up was when I wanted to add more self-description to Jake’s inner thoughts. He’s hot and I really wanted the reader to see how hot he was!! But there were certain lines he – no guy – would ever think, so they had to go. The good news is, I think there’s enough there that readers can picture him (and his hotness) clearly enough. Lexi: You did a great job being a man! You also did a great job showing us his humor. His reactions to the kids, he can't keep track of them, and then as he gets to know them and be involved in their everyday lives is priceless. To walk into that kind of situation you would definitely need humor. Do you make yourself laugh when you write or do you write and hope readers will catch your jokes? Thank you!! I do laugh while I’m writing, that’s what makes it so much fun! Part of the reason I enjoy writing from the male POV so much – and I’m going to get a little abstract here – is because it really feels like the lines aren’t coming from me, but from the characters. So, while I’m writing, it actually feels like I’m not making me laugh – Jake is making me laugh - which is awesome. It also helps that my own children can be complete demon spawns. My husband and I look back on certain situations – now – and laugh about them, but at the time they weren’t very funny. That’s a part of the book every parent will be able to relate too. And, because both Jake and Chelsea are kind of fish out of water here, I think readers who don’t have kids will be able to relate and laugh at those situations just as much. Lexi: Your knack for writing smart romantic stories aside, you ground your stories and characters well. Jake is a defense attorney and his tough court room face comes out when he goes on offense for Chelsea and kids. Chelsea on the other hand is young, just figuring out life herself and now has six kids to take care of. Both of them could be friends of ours and that really brings the reader close to the story. Do you picture your characters as dear friends while writing or is it a gradual get to know you as your MC's tell you who they are and what drives them? I like my characters when I first start writing, but I think I fall in love with them – like the reader – as the story progresses. The understanding I have of them deepens. Also, it’s important to me that all my characters are relatable – which means none of them are perfect. Jake messes up, Chelsea messes up – but we love them anyway. That’s what makes them real. Lexi: Jake and Chelsea are amazing! Fellow readers if you are in the mood for a fun romantic read you would not go wrong picking up Sustained! Thank you so much for stopping by the blog today, Emma! Congratulations on the release and we hope to see you back for Appealed! The publisher is offering 1 finished copy of Sustained open to residents in the US and Canada to give away to one reader today! 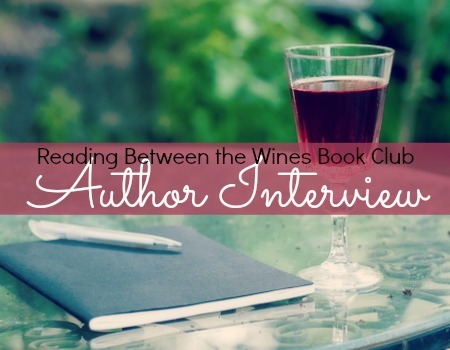 To enter, just leave a comment on this interview and fill out the rafflecopter below. Good luck! I finished this book last night. I give a book five stars if I know I want to reread! Emma Chase does it every time but this was her best. Her male POV is top notch. Thanks for the giveaway! Haven't read this series yet, but I loved your Tangled series! Drew was awesome! Nice interview. I haven't read this series yet but it's definitely on my TBR! I've been reading such great reviews for this series and it's definitely on the top of my want list ;) thanks for sharing! I'm looking forward to starting another series written by you! Enjoyed reading this post. This book is on my wishlist. I am definitely looking forward to reading this series.